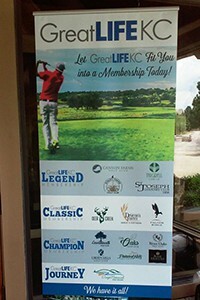 The GreatLife golf family just got bigger. 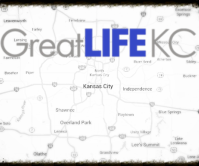 The regional golf and fitness group has added Deer Creek, Falcon Ridge and Wichita’s Tallgrass to its group of fourteen (14) GreatLifeKC courses. During a July 29 open house, GreatLife owner Doug Albers explained why the addition of these courses made sense. Deer Creek and Falcon Ridge join Drumm Farm in the ‘Classic’ tier of courses, while Tallgrass becomes part of the ‘Legend’ tier, along with Canyon Farms, St. Joseph Country Club, and Staley Farms. The ‘Champion’ tier remains the same, including Leavenworth, Liberty Hills, Painted Hills, River Oaks, Royal Meadows, and The Oaks. GreatLife CEO Doug Farrant was pleased to add these courses to their offerings, even though 2016 has been a hectic time for all involved with Painted Hills, Royals Meadows and Tallgrass all coming into the GreatLife family at about the same time. 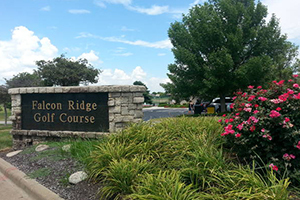 Both Deer Creek and Falcon Ridge are currently public, daily-fee courses. GreatLife has plans to take them to a private membership level which helps increase the value of the course and the surrounding properties. Farrant explained that the process has worked well at their ‘Legend’ level courses and expects the same results for Deer Creek and Falcon Ridge. As always with GreatLife, the focus is not just on golf. Plans are afoot to enhance the existing golf offerings at Deer Creek and Falcon Ridge with access to fitness facilities and additional family-oriented activities. Primarily, GreatLife wants to provide activities for the entire family, including fitness, plus FootGolf and FlingGolf, which are golf-oriented variants of soccer and lacrosse, respectively. “Any family activity is good for us,” Farrant added. 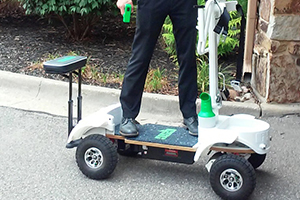 GreatLife is also the first organization to offer another fun item with the introduction to all of their courses of the Golf Skate Caddy, which Albers expects will improve speed of play. “If a foursome goes out – all four players are on a Golf Skate Caddy – they’re all going to their own ball individually at the same time,” he said. The offering from Sprocket Golf is like a golf cart built for one person who rides it in a manner similar to a Segway, quickly allowing individuals to move directly to their own ball. Of course, the golf at Deer Creek is always good. 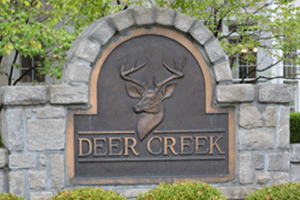 Deer Creek is also a good place for community and corporate gatherings. At Deer Creek and Falcon Ridge, and at Drumm Farm, the goal is to increase membership to about 400 with a collective membership level of at least a thousand for the three courses. The annual membership at Deer Creek, Falcon Ridge or Drumm Farm allows members to play at any of those three courses or any of the ‘Champion’ tier courses, while play at the ‘Legend’ tier courses would be available for a small additional fee. Membership at any level also provides discounted rates at Osage National for the golf course or their “Stay & Play” packages. Members have access to 58 regional clubs. The reciprocal play opportunities at 14 clubs in the Kansas City, Wichita and Southern Missouri area means there will always be somewhere for members to play, even when your home club is closed for a tournament or other private event. Reciprocal club access also helps members in other ways. Another positive aspect of being a GreatLife member is that it benefits the community. Fifteen percent of Drumm Farm’s revenue goes to the GreatLife Cares Foundation, a charitable organization which assists foster care children and families. There are a lot of good reasons to become part of the GreatLife family.